Read the first part of my story here! In less than a year! I was fed up and frustrated and decided that maybe going natural is something I needed to explore so I hopped online to do some research on going from relaxed to natural, I wanted to know what to expect, learn about products I could use, etc. Really not expecting to find much, I was literally blown away by how many women out there was blogging about healthy hair, both relaxed and natural! I was glued to my computer reading everything and anything about how to get healthy hair, I was hooked! Once I started following certain steps/rules, my breakage stopped dead in its tracks! After seeing all those ladies with long healthy hair I felt like there was hope for me again. I hated how short and thin my hair was I was not used to it; I was now hiding my hair with wigs because I had to not because I wanted to. I wanted my length back. As time went by I found myself reading more relaxed hair blogs than natural ones, I knew in my heart I was not ready to go natural so in April I decided to start my relaxed hair journey. I relaxed my hair on April 15th 2012 and considered that day the beginning of my healthy hair journey, between then and now I have relaxed my hair three times. 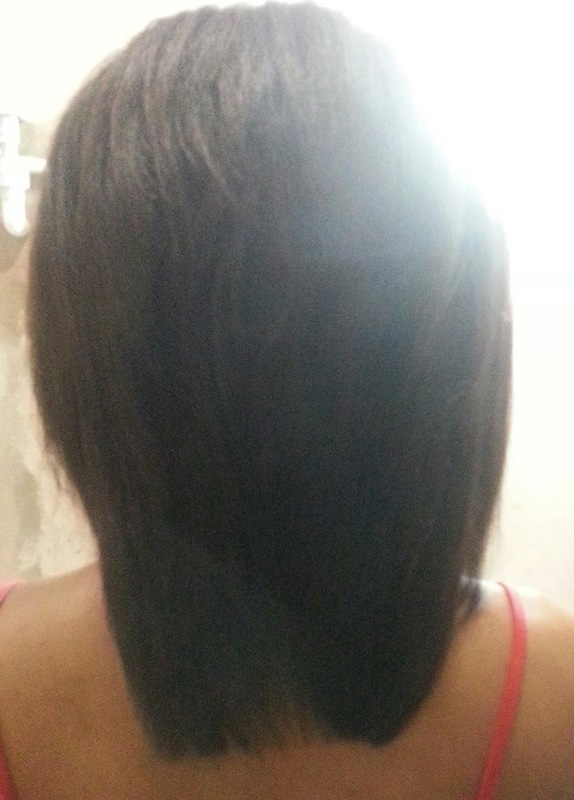 On August 13th 2012 at 17 weeks post, no picture of this but I cut the remaining black ends. Then on November 30th 2012 at 15 weeks 4 days post, I cut a little more than an inch because I did not like how the centre looked. Looking back on this and my last relaxer, I’m starting to think that the back centre area of my hair was more damaged than I thought; it’s hard to tell after my big chop because of the colour top that I had on. In all the years of going to my hairdresser that was the only area that I would get burn and was really thin. 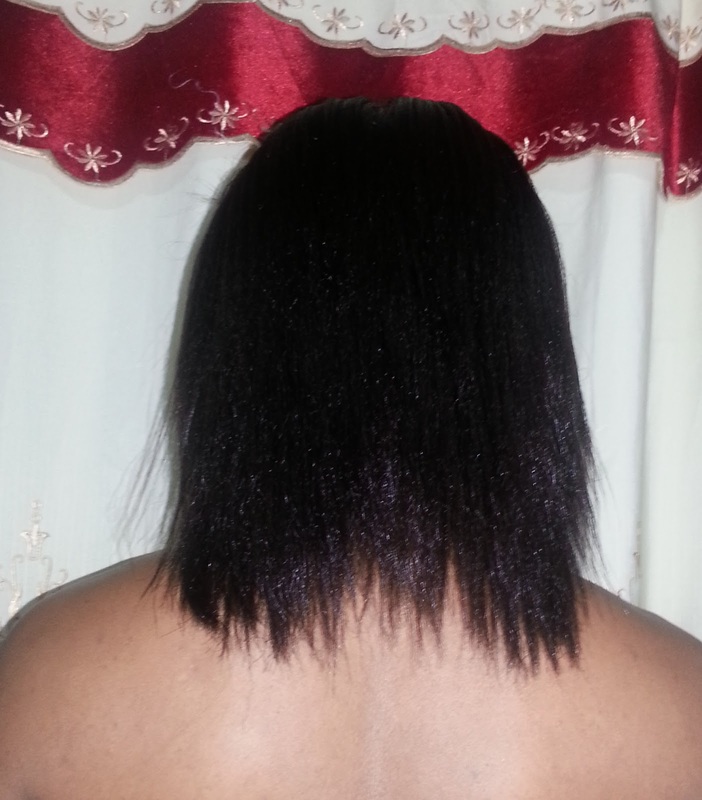 And finally, my most recent relaxer was March 27th 2013 at 16 weeks 5 days post. After relaxing my hair I was not pleased with how uneven my ends were, a week later I trimmed about an inch and a half. I tried roller setting my hair to get it as straight as possible for my trim, it did not work out to well but I trimmed anyway. Your progress from your BC to now is great! Your ends look full and amazing! :-) You'll be back to where you started from and more in no time. HHG! wow! I love your hair story. 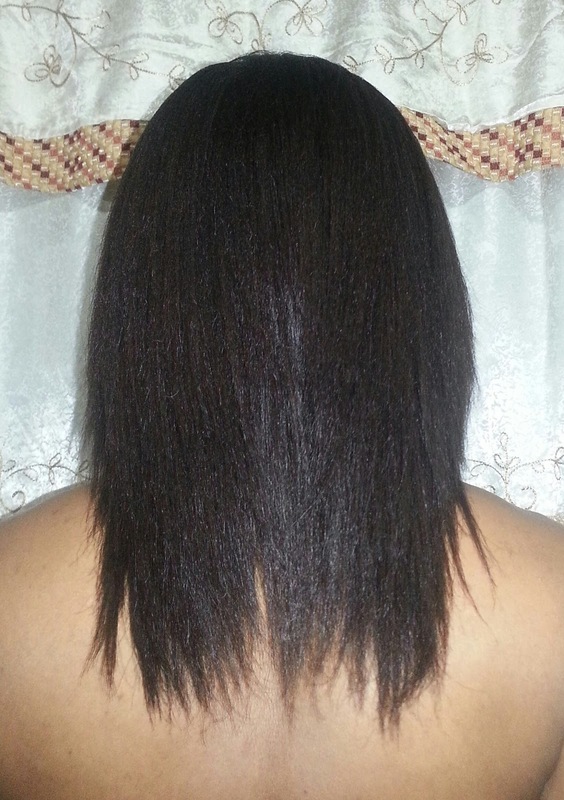 My goal was to get back my length as well, but now I'm focusing on surpassing my prior length and improving thickness which I hope to achieve by texlaxing. Thanks for sharing. I'm now following your blog. Welcome Andrea! Nice of you to stop by :) I'm also following! wow, you went from NL to full shoulder in 9 months? that's awesome. i'm about the same length you were in the picture when you did the big chop. I hope to be SL by the end of the year. Thanks for this blog.